Tired when filming for long hours while holding an analog or digital gimbal stabilizer? It's no easy task! 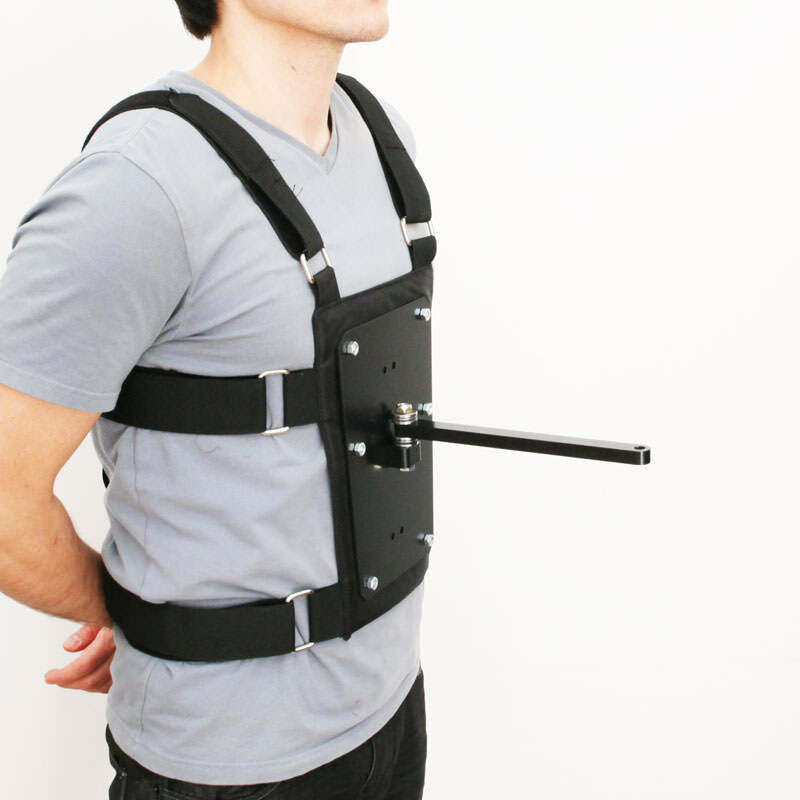 We developed a simple and affordable solution, a full wrap around vest that gives great stability while alleviating the pain of supporting a heavy gimbal unassisted. It features a flat bar extending from the front plate that holds your DJI Ronin, Beholder MS1 or Autopilot stabilizer. It rotates smoothly on an X-axis allowing just the right amount of free movement. There is no Z-axis movement, making the vest best suited for moving, or tracking shots that don't involve running. This is a great solution for anyone who needs a much deserved break from those long shoots. It works particularly well when coupled with a quick release plate. This allows you to do more dynamic shots handheld for extra range of motion, then switch to the vest's arm for shots requiring long periods of holding the stabilizer, including walking shots, static over the shoulder shots and more. Give your back a break, don't break your back, or your bank with the Gimbal & Stabilizer Vest Support. 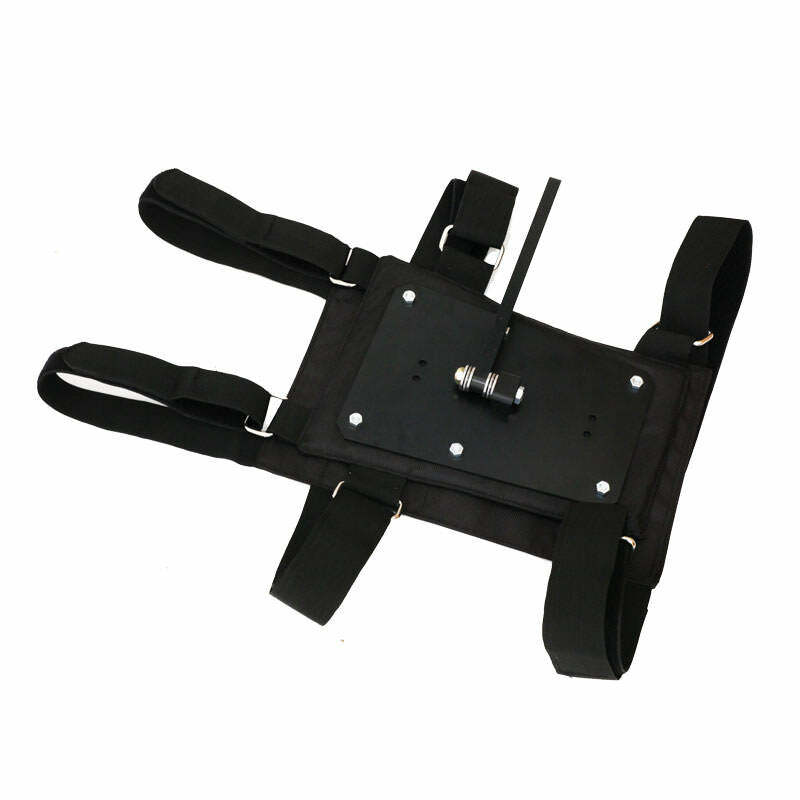 Features 3 points to mount the support arm; low, medium and high. One 3/8 inch hole at the end of the arm is used for mounting your device. Fits users with waists/chests from 28" to 60"
Made from reinforced synthetic material and anodized aluminum. We guarantee it's performance with a 5 year limited warranty. This product is designed, assembled and packaged in the USA. Will this fit the Feiyutech A2000 dual handle? Yes, it does look like the Feiyutech A2000 Gimbal has a threaded mount on the bottom that would allow it to connect to the stabilizer vest.